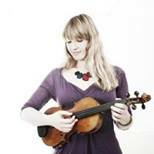 Patsy is holding a fiddle workshop in Comrie in advance of the gig. It’s on Saturday 22nd March from 2.30pm-4pm in the WRI Hall. All ages and abilities welcome – she’ll be teaching a tune by ear and sheet-music will be available. In fact all melody instrument players can come (except maybe bagpipes, trumpets and the like…no offence to them!) it’s just she might go on about the fiddle a bit!